I am a swatching machine lately! So many polishes…so little time! I showed you the Zoya Irresistible Collection last week. Today I have its sister collection, Stunning. The Stunning Collection consists of six crème polishes that scream summer. I love crèmes – so I was most excited about this set. One thing that’s not obvious in my photos is that four of these have a hint of shimmer! I’ll start with my favorite. I’ll give you one guess what color it is. Yup…pink. 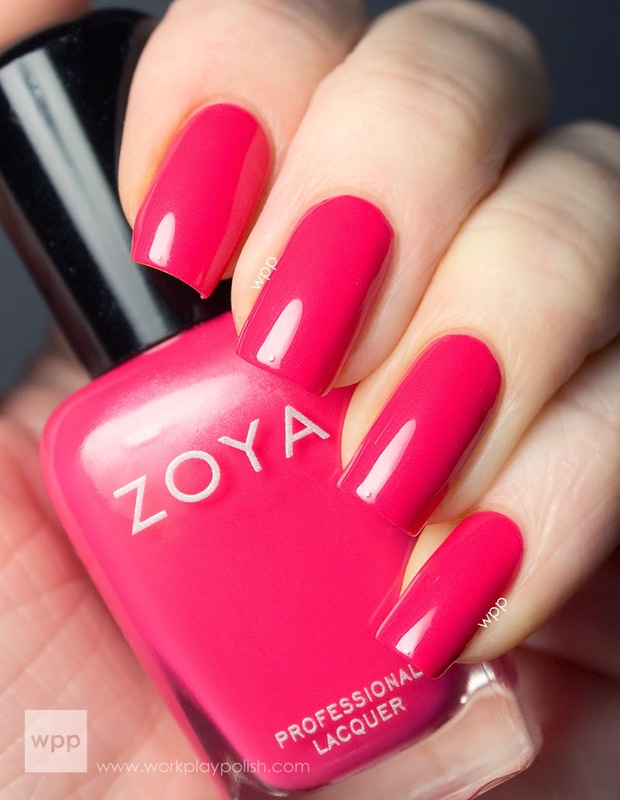 Zoya describes Yana as a geranium pink and that’s a perfect description. I really liked this with my skin tone. You can almost see the shimmer in my photo. My swatch is two easy coats. 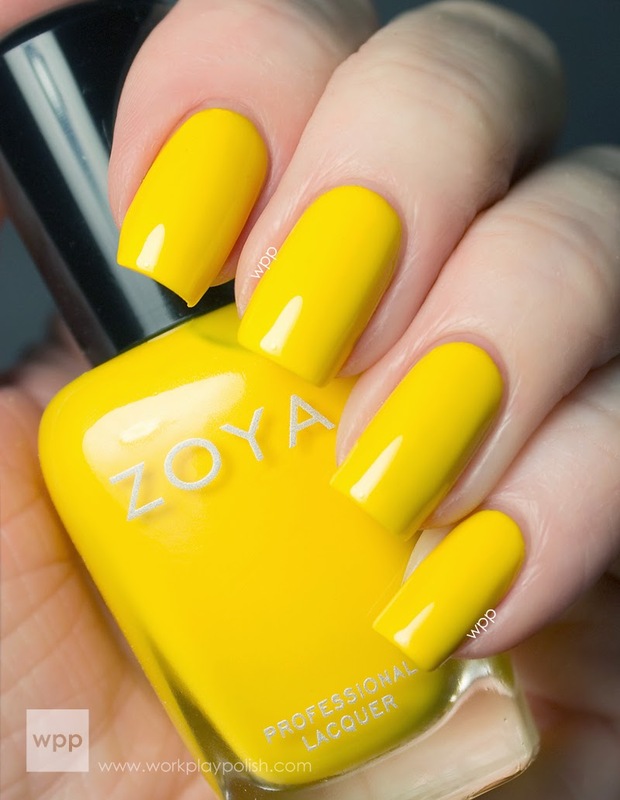 Darcy is a bright sunny yellow with just a touch of shimmer. It took three coats for a smooth, even finish. For some reason that seems true of all yellow polish. I don’t know if it’s my imagination or there’s some science behind it. But wow...is that a bright, creamy yellow or what? Thandie is a bright orange. It’s a touch darker and more melon-y than Zoya Arizona. It also has a hint of shimmer. For my swatch, I used three thin coats. Micky is a medium coral pink. I love this shade. Not too coral and not too pink...with the slightest shimmer. My swatch is two coats. Josie is a soft medium grassy green. It’s a clean, preppy shade. If you follow me on IG, then you know I sneaked (snuck?) and wore this one to work! That's a ringing endorsement! I used two coats. And finally we have Rocky. Rocky is slightly dusty bondi blue. It’s very pretty and just a great blue crème for any stash. I used three coats. A few of these required three, thin, controlled coats – but the outcome was always nice. I used to rush creme polish - piling it on thick to avoid streaks in the first coat. But I’ve learned to be patient...cremes are less forgiving than heavy shimmers or glitters. The Stunning Collection is a crisp, bright, summery bunch – an underrepresented demographic on my polish wall. In fact, I have three more rows of shelves to hang. That will make room for 150 polishes! Zoya polishes are BIG5FREE. 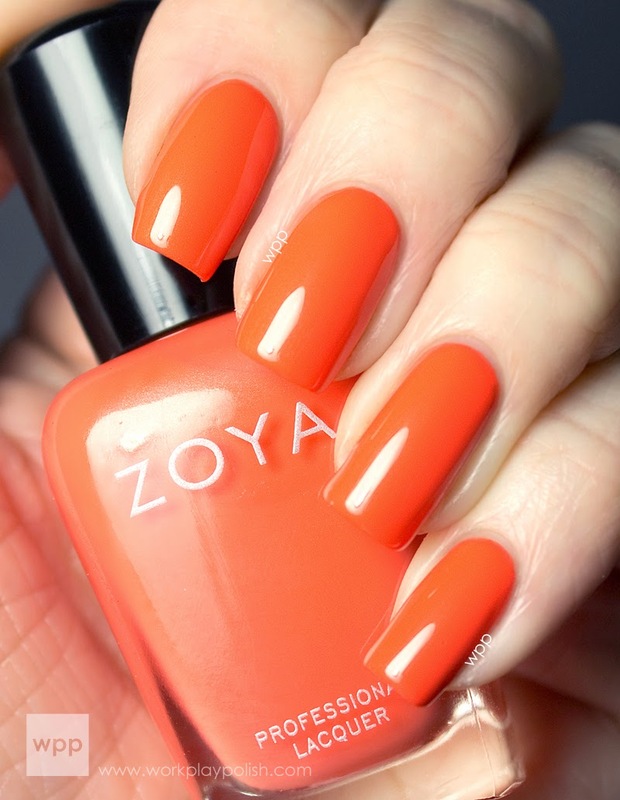 The Irresistible Collection is available at www.zoya.com for $8USD. 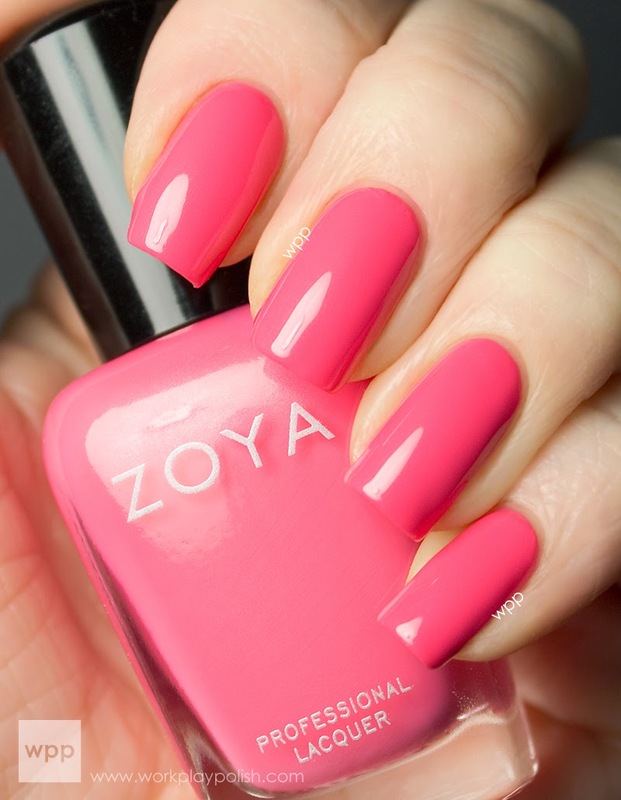 Follow Zoya on facebook and twitter to keep up with their frequent promotions.